Mosquitoes are the first thing to ruin a nice, peaceful evening of relaxing and watching the sun set. Sure, there are other annoying bugs, but the mosquitos are, in my opinion, the very worst of all. Buzzing in your ears then dodging your strike and sucking your blood covering you in itchy red bumps from head to toe. There are plenty of bug repellents that you can spray or rub all over you if you want to be covered in greasy, chemically, smelly oils that help keep them away. There are also plenty of gadgets you can hang around you patio to catch the mosquitoes and candles you can light. I am trying something different that doesn’t involve constantly spending money on commercial products that still leave me annoyed and running for the house. I plan to grow herbs all over the place, each with their own benefits. There are plenty of these herbs that are deterrents to mosquitos and other pests in addition to the other benefits they provide. Why not plant the pest deterrents in areas where we will be spending time? Maybe if I plant enough of these plants around the outside cook and play areas, I won’t have to spend so much time and money spraying bug spray. This is a short list of plants that are easy for me to grow. I bet you can come up with use for most of these herbs without even thinking about it. These herbs will be spread around the property in various places. I will make tire planters near the kids play area and plant the lemon balm and spearmint. These plants hopefully will handle the beating the kids may give them when I’m not looking. Peppermint and thyme will go in tire planters near the outdoor kitchen, where I can pick them often. The basil and rosemary will also go with the kitchen garden, among the tomatoes. The lavender, bee balm, and catmint will go in the butterfly garden. Click these links for some more information on mosquito and pest repelling plants. 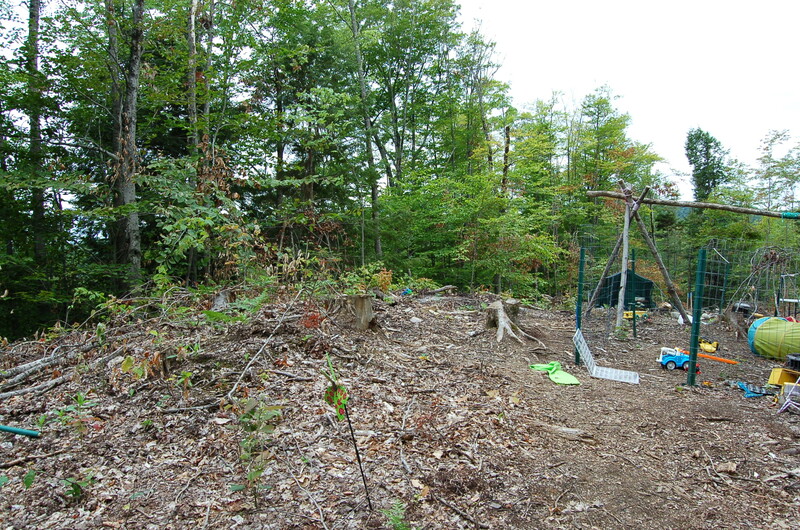 My next project for the kids will be putting up swings, just next to this path. This is likely the highest point of the property. A perfect location for an star observation tower. We also decided that a library would fit perfectly under the observation tower. This building may not be started for many years, but the landscaping around it has already started. I want there to be a shaded reading and relaxing area outside the library. I had planted some wisteria that had to be moved for the logging to get done. The area it came from is not really there anymore so now I moved it to my future outdoor reading area. The grapes are going to be moved up here too. There will be arbor on either side of the wisteria. I would also like to plant a butterfly and hummingbird garden outside the library. This should be a really pretty area in a few years. Here is a link to the site where we found the idea for the observation tower. We aren’t really planning to build with cob because it isn’t the best choice for our very wet climate and we have more resources for building with cordwood. We may very likely end up with something that looks a lot like this. This is part of our building site. I doubt you can clearly see, but there are bees living there. They cannot be there, but the bees have enough problems as it is. I don’t want to kill the bees and I don’t want to use harsh chemicals. We don’t want to do anything that we don’t have to do. We did a little research and found that bees don’t like garlic or citronella. So now there is garlic powder all over the building site and a candle burning nearby. The odor should offend the bees enough to get them away from the site. It is too soon to tell if it really worked, but there does not seem to be as many bees in the area. Here is the site. Kind of flat, but it’s as good as it needs to be because the house will be up on pillars. We had to use the pillars because our lot is all rock. Huge rocks, probably the size of our whole house. Basically, we can’t move them at all. 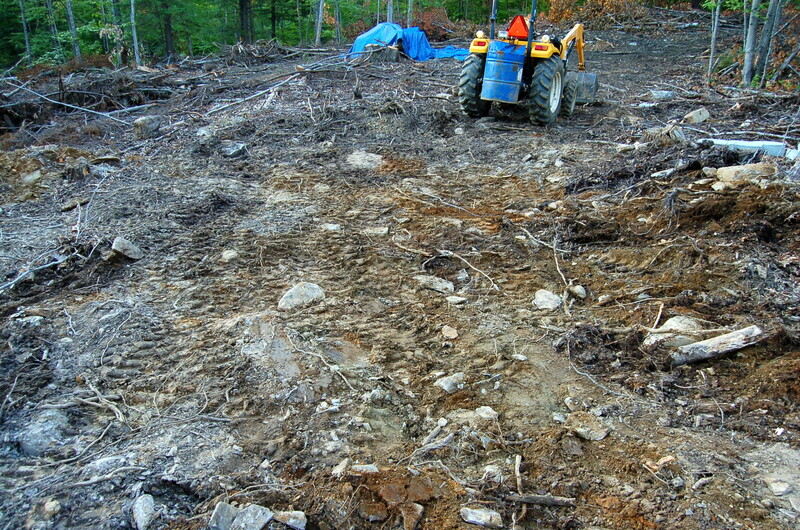 The man made a bunch of trips up the hill carrying the building materials to the site on the tractor. We were able to borrow some forks that attach to the bucket to bring everything up. We are finally on our way to starting to build. Haha. One of the new favorite things to do is to find worms. 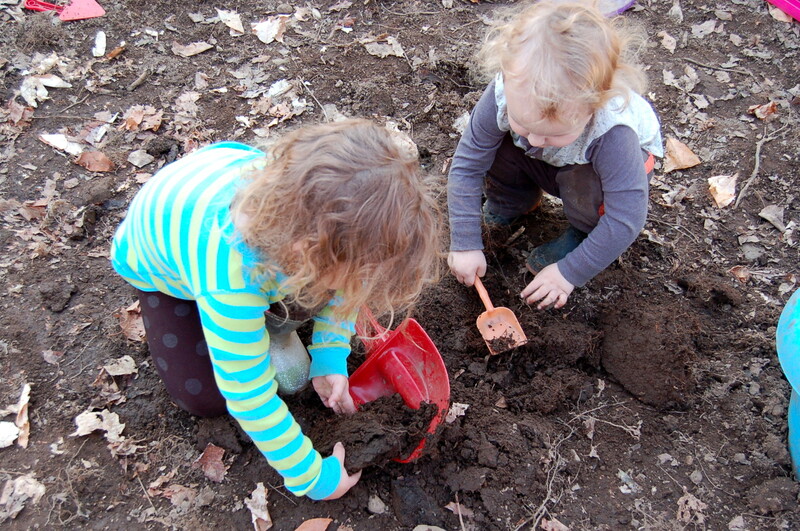 Mommy digs a hole with the big shovel, and then the little ones sort through and find all the worms. I explained to the kids that they should put the worms in a bucket of dirt if they wanted to keep them. I explained that the worms like the dirt and that they wouldn’t like if if they carried them around all day or threw them in the water or things like that. The little girl accepted that the worms needed to poop in the dirt so she would put dirt in the bucket for them. And that’s what they did for a few days. Today the little girl brought me a bucket with some dried out worms in it wanting to know what had happened to them. I had started explaining to her before not to break plants because then they would die. When they die they can’t grow anymore. That was as far as that needed to go. Now she brought me dead worms so I explained to her that the worms died because they hadn’t stayed in dirt and the sun was too hot for them. She was mad at first that she had to keep them if the dirt because she couldn’t see them. I explained to her that she needed to keep them in the dirt so they didn’t die and it was very mean to keep them out of the dirt. If you are going to be mean to the worms, they you can’t collect them anymore. I’m not sure that a 2 or 3 1/2 year old can really understand what it means for something to die. I highly doubt they do. They do both understand that it is mean to hurt something or do something to a plant or a bug that will cause it to die. If I tell them that they are hurting a worm or being mean to it or even making it sad, they do understand that they should stop. They both understand that they should be nice to living things even if they don’t comprehend what a living thing means. I think that is a very important lesson for them to learn. I do work really hard at teaching them. I do not want to work as a nurse for the rest of my life. I’m not saying it is an awful job or anything, but I want to work for myself on my own land at some point in the future. I have been looking at some possibilities of what I could do instead for some time now. I know it will be a few years before I can officially quit my job, I am particularly excited about one potential job idea. Coppice agroforestry with livestock. 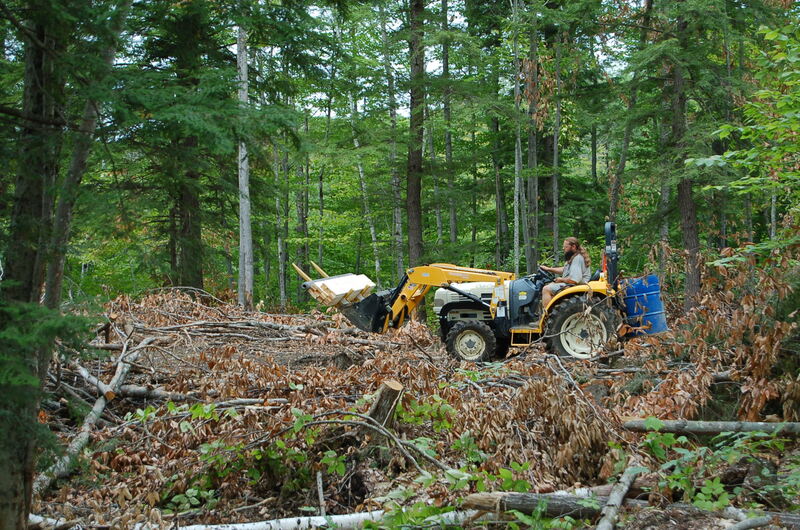 Coppicing: Coppicing is the practice of cutting trees for the timber and leaving the stump to regrow for future cuttings. 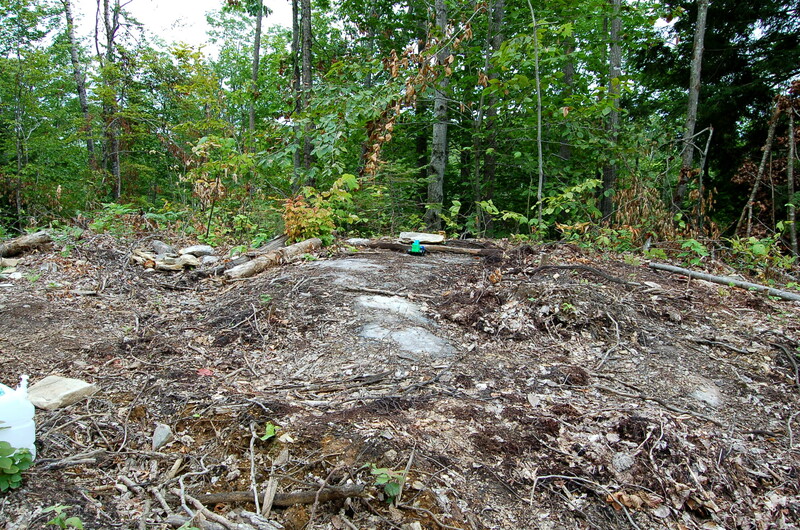 By leaving the stump and root system intact, it provides a faster and stronger growth for the new lumber. The new growth is called poles. 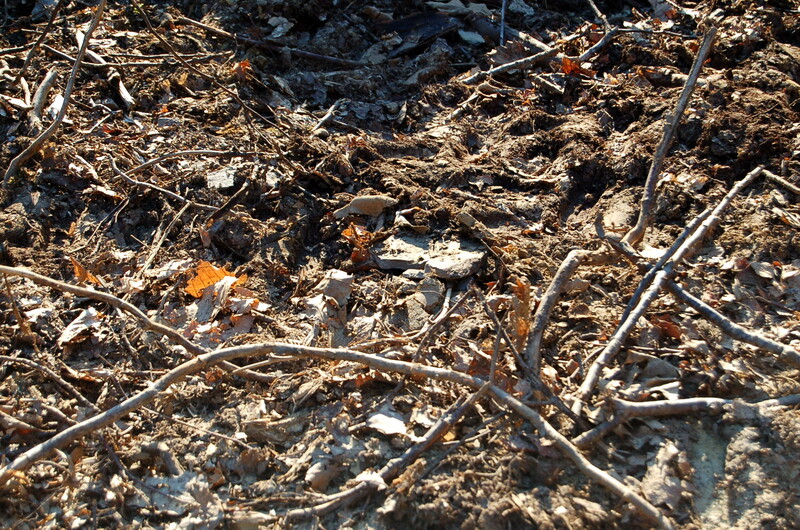 Pollarding is the term used for coppicing above the level where animals may be able to eat the new growth. This allows for the incorporation of animals in you coppice agroforestry. There are many different types of trees you can grow for the purpose of coppice. A common variety is willow, which tends to be know for it’s rapid growth rates, especially with enough water and nutrients. (The nutrients could come from manure.) You could use apple trees. When done in the right rotation, you would have apples and apple wood for many years. And so would your children and grandchildren. It’s the same idea with nut trees. You get the wood and the nuts and you extend the life of the trees. Keep in mind that you will have new growth from the trees, but I’m not sure how many years before they would begin to produce fruit or nuts. More research required on my part. You could also include nitrogen fixing trees in the system to increase the nutrients in your soil. Don’t forget about including trees for animal fodder. The animals will love the variety of food supply and there will be less food that you need to supply for them. Your living fence can easily be incorporated into this system as well. Willows are great for living fences and are great for coppicing as I mentioned before. You could make more willow baskets than you could possibly imagine. I know brambles are great for living fences too, but I’m not sure yet what you could do with coppiced thorny vines. I’ll work on that thought. Some research will have to be done on which plants won’t be good for corralling livestock. All the different berries that can be used in living fences will provide an excess of fruit. Adding animals into this system makes the system even stronger. The animals fertilize the plants. They eat the pest bugs that could destroy your trees. They eat the low branches off the trees that would otherwise need to be pruned. Animals can eat the weeds among the trees or keep the grass between the trees mowed. I wouldn’t plant grass myself, put you could plant nitrogen fixing clover or some other tasty treat for the animals. Depending on the animal you choose to keep, there are different benefits that can be offered. Ducks and chickens provide eggs meat in addition to pest control. Grazing animals like goats, sheep, and turkeys are wonderful at eating worm infested fruits as they fall dead off of the trees. This interrupts the life cycle of the worms and maggots and helps to resolve this pest problem. 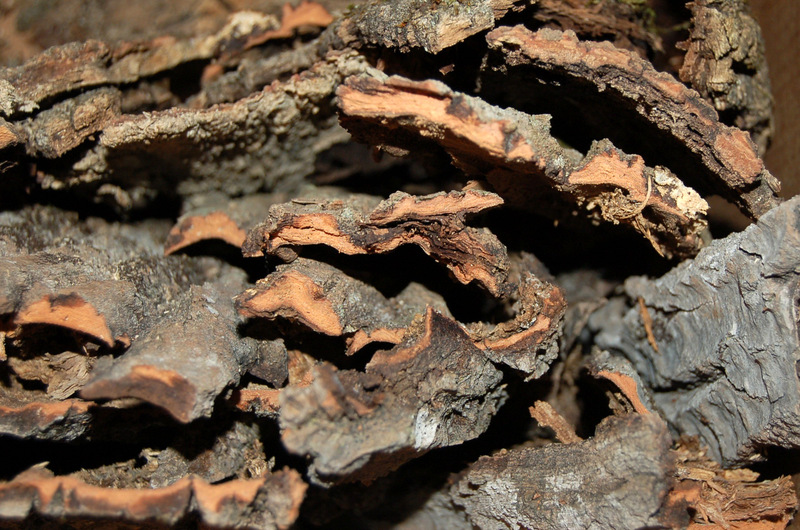 Removing rotten fruit from around the trees can also help from spreading disease by destroying the spores. The rotten fruit is a good food source for these animals too. 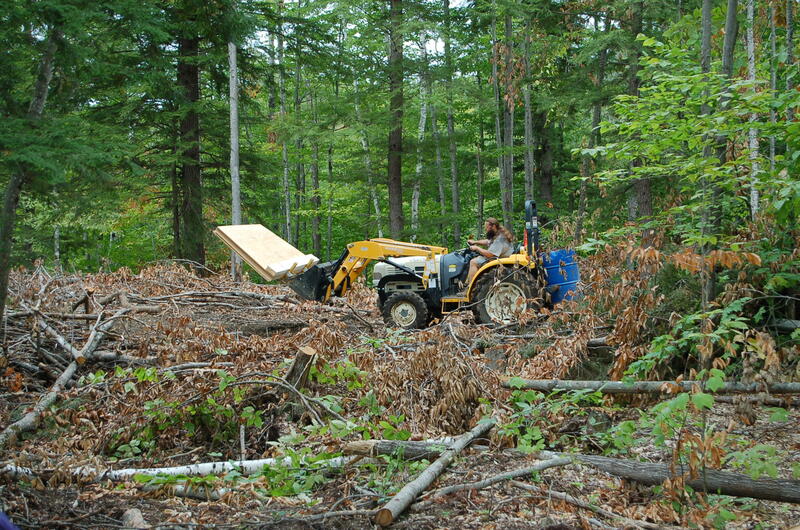 This can be an excellent system to feed your family and provide a source for timber. However, it can also easily over provide and allow for a source of income in your life. This could be an excellent solution to the problem I have been having in deciding what to do for a new “career.” My biggest issue in deciding what to do with myself was that I needed variety. I can’t imagine that I would ever run out of variety with a system like this. I can’t say that I have come up with any potential ideas that offer anywhere near as many different things that can all be incorporated into one idea. Any thoughts, ideas, or insight? The link to my list of information sources. Hoverflies look like small bees, but are harmless to people. Hoverfly larvae eat aphids, small caterpillars like cabbage worms, thrips, scale, and tiny mites. You attract adults with nectar rich blooms. I have looked all over the place for what to put in your bug hotel for these guys and what I have found is pith rods like brambles, elderberry and roses. I have not found anything explaining why though. What ever the reason bundles of pith rods are a good place for bugs that I have already built a spot for, so I’ll make a hotel room out of pith rods. I don’t have any kind of picture for this I’m sorry to say. I have tons of pith rods on the lot, but can’t really get to them right now. The snow has come in and taken over everything and it would not be an easy walk to get to the area where I would find this sort of thing. It doesn’t really benefit me to go out collecting this stuff anyways. Then I would just have to find a place to store it all. I learned this the other day went I went our collecting the tree bark for the beetles. I can’t collect enough of it and store it somewhere safe through the winter. I guess that I am only really doing this post so that I don’t leave the hoverflies out of the picture! Ground beetles eat all kinds of nasty bugs that are ground dwellers. Snails, slugs, cutworms, etc. I have read that the best way to encourage ground beetles is but laying boards around your garden to give them a place to hide. Apparently they also will like tree bark in stacks in your bug hotel to hide in. Spiders will hide in there too. I’m not sure that I believe that ground beetles will climb up into an insect hotel, but plenty of other bugs will use the bark bundles, so I’ll set it up and see what happens. I’ll put it near the bottom of the hotel too, just in case. Here is my collection of bark I have started. I collected it off dead trees that had fallen. Then I found even more on standing dead trees. This was even easier to collect and wasn’t as rotten. I have a bundle started so far, but when I put the bug hotel together, I assume I will need to collect even more.